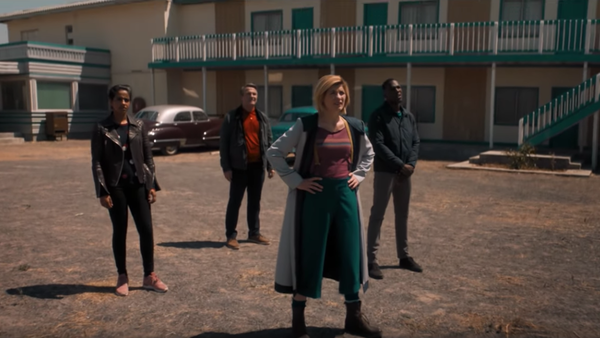 It had been heavily rumoured that series 11 might form one continuous story, in line with other blockbuster fantasy series such as Game of Thrones and of course Chris Chibnall’s acclaimed crime drama Broadchurch. At comic-con Chibnall set the record straight. Each episode will form a story in itself with a clear beginning, middle and end. But the lack of two-parters suggests that each story will be connected instead to a wider arc, thus allowing room for those much-loved end of episode cliffhangers. Such an approach will be familiar to viewers of shows such as Gotham and Westworld. There had also be mutterings that the BBC was dropping Doctor Who from its Christmas schedule, but producer Matt Strevens and Chibnall teased that despite being contracted for ten episodes they seemed to be making an eleventh. Whether this extra adventure will air on Christmas Day remains to be seen, but the indications are that the BBC is continuing to make Doctor Who an important part of its festive output. For those who feel slightly short-changed by the reduced run of stories, there is perhaps comfort to be had in the fact that these episodes will be fifty minutes long (rather than the usual forty-five minutes), with the series opener extending to sixty-five minutes.